I could go on and on about this salad, particularly the dressing. I first had this at a Relief Society activity, then I made it for my cousin's baby shower and on Saturday I served it at my future sister-in-law's bridal shower. It has been a total hit every time it's been served and I'm absolutely in love with it. This is my kind of salad. 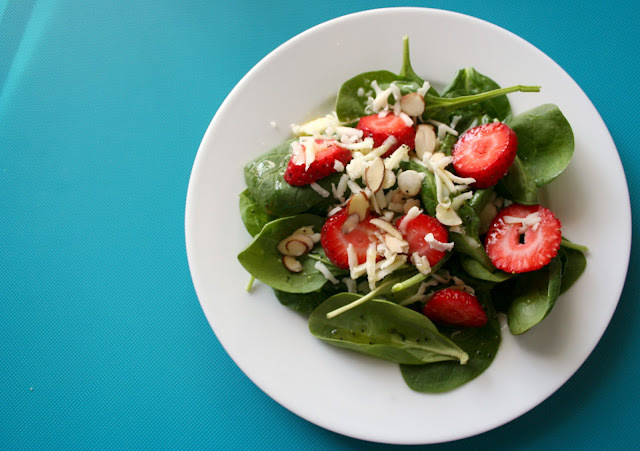 Nuts, berries and cheese mixed with a homemade vinaigrette. You've got to make this the next chance you get. You won't be disappointed. 1. Mix dressing ingredients in blender until combined and set aside. 2. 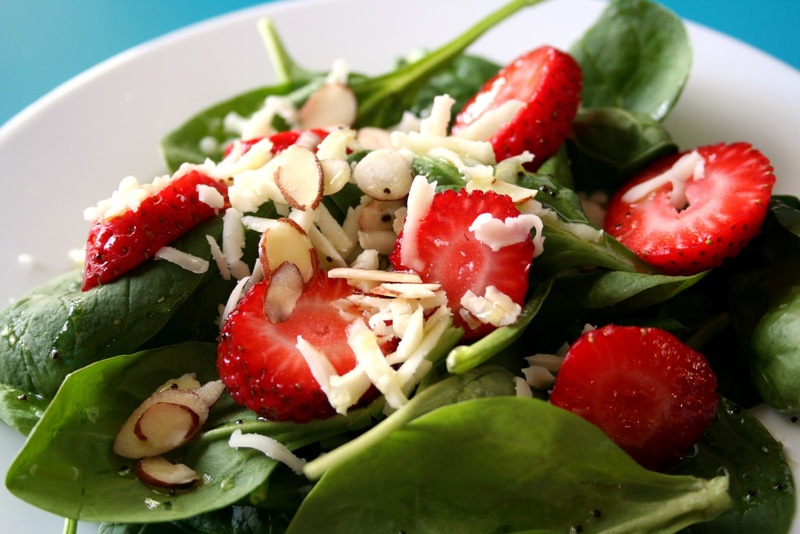 Combine spinach, cheese, and strawberries in a large bowl. Pour in salad dressing and toss until fully coated.